Kevin De Bruyne says he thought Raheem Sterling might have been a bit of a ‘d***head’ before he met him at Manchester City. 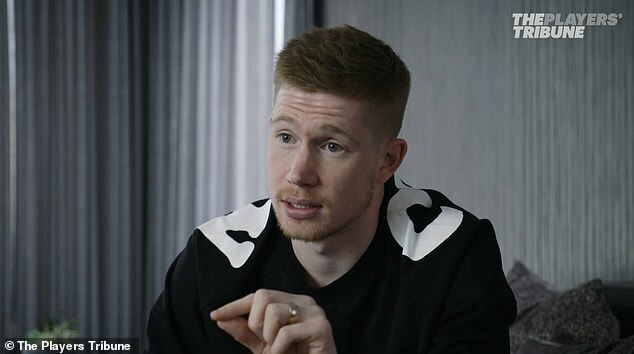 De Bruyne moved to City from Wolfsburg back in 2015, just a month after Sterling had made the switch from Liverpool to Manchester, and admitted he believed the media coverage of the England international had painted him as ostentatious or showy. The Belgian now believes they had both been subjected to unfair treatment. 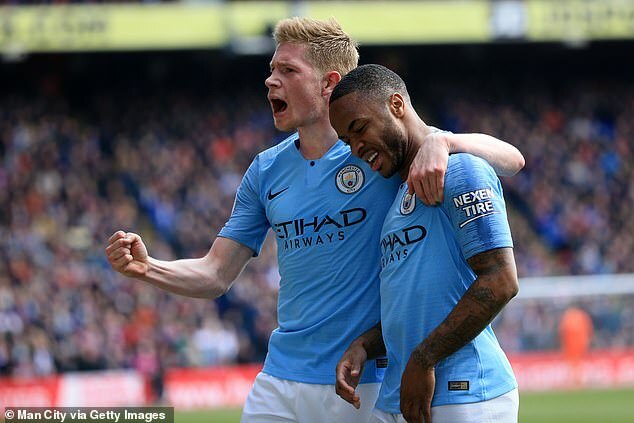 De Bruyne thought he had been dubbed a Chelsea ‘reject’, while Sterling was the ‘flashy’ guy who left Liverpool for money. But the Belgium midfielder has revealed just how much the pair’s relationship has flourished in Manchester and hailed him as one of the humblest men in football. ‘Before I came to Manchester City, I didn’t really know what to make of this Raheem Sterling guy,’ he told the Players Tribune. I had never met him, and from what I’d read about him in the English press, I thought he was going to be a very different character. He added: ‘But over time, I got closer to Raheem, because our sons were born around the same time, so they would always play together. I really got to know Raheem, and I recognised what a smart and genuine person he is. 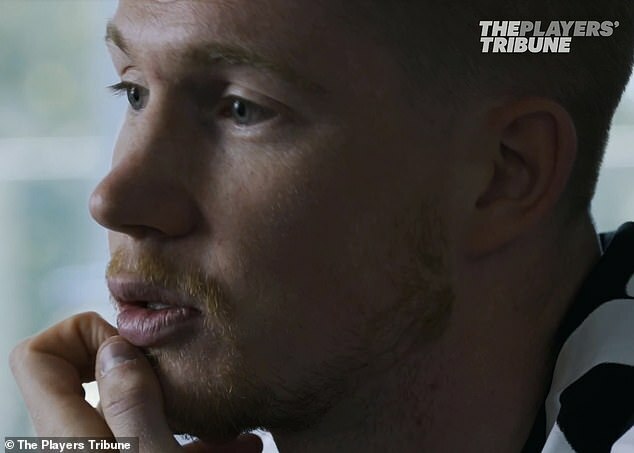 De Bruyne has two children — Mason and Rome — with his wife Michele, whom he married in the summer of 2017, but the story of how the pair met is a curious one. 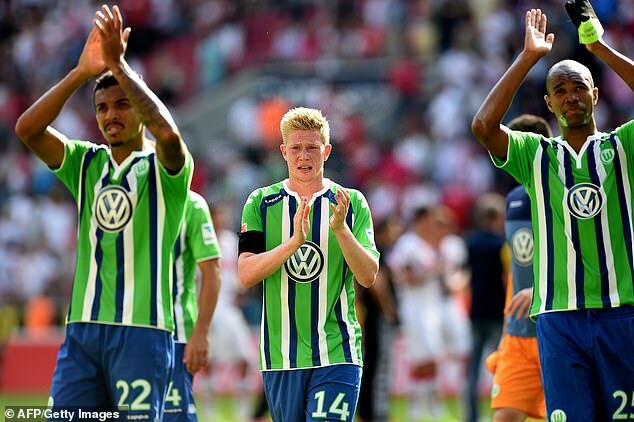 The 27-year-old recounted how when he was on loan at Werder Bremen back in the 2012-13 season, Michele liked a tweet of his about a match. 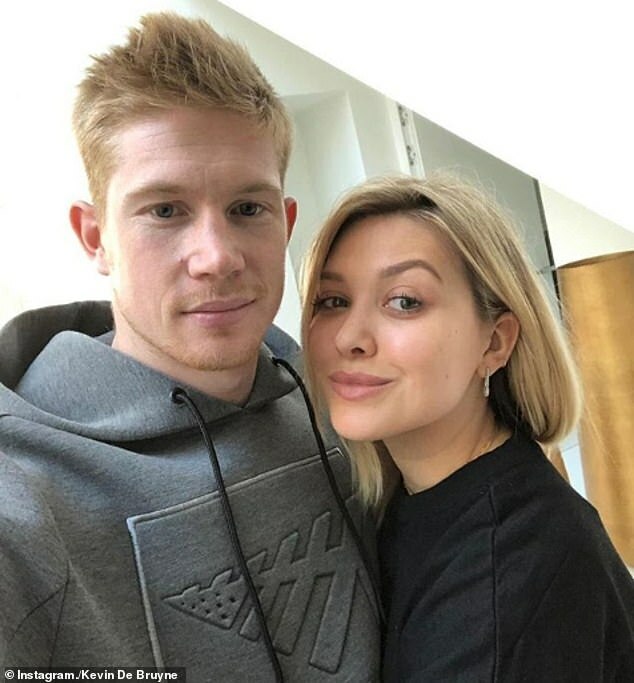 De Bruyne, curled up in a ball on the floor fraught with embarrassment, allowed his friend to send her a message – and the rest is history. ‘Says it all, no?,’ he said of the Twitter exchange. ‘I’m supposed to be this big footballer, and I didn’t even have the heart to slide into my future wife’s DMs! I didn’t dare!